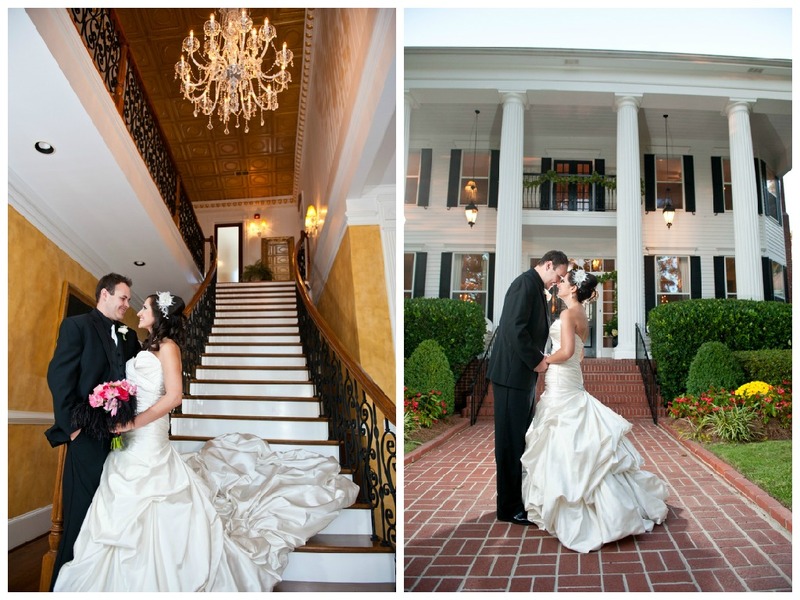 The original Southern Glam wedding took place in the Fall of 2011 when I married my prince charming on a Georgia plantation. While planning that magical day, I blogged about my journey to become a Mrs. which looking back now, makes me insanely happy that part of my life was captured even if it was on my previous blog. 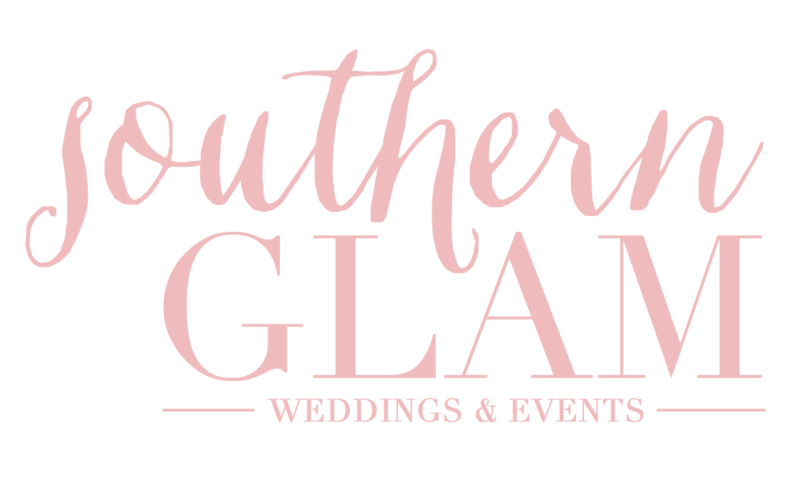 To celebrate the day amazing day four years ago, I introduce to you the original Southern Glam Wedding (which is how Southern Glam Weddings & Events started) with links back to the original Southern Glam blog. Sean + Meagan // Cinematic Film from White Dress Media on Vimeo. It all started with mason jars and martini glasses. Okay, well really it was all because two people fell in love! Sean proposed to me on the beach and the wedding planning began immediately! We decided to get married at Victoria Belle Mansion in Hogansville, Georgia and sent out Save the Dates. We chose our bridesmaids and groomsmen, all 18 of them! Southern Glamorous might have been our wedding theme but pink heels became my mini theme! My ladies and I shopped for bridesmaid dresses and other wedding attire while I almost had a meltdown over pink ties. Sean had his own moment when he realized we were getting married during college football season! What’s wedding planning without a few challenges and realities? I found out Bridezilla wasn’t for me and David Tutera was more my style! We took engagement photos in both Georgia and Florida. Sean figured out the hard way what Waterford was while registering! A few weeks leading up to the wedding I was showered twice by my loving family and friends in Florida and Georgia. My ladies and I lived it up for my bachelorette party and finalized the details of the big day. Before Sean and I knew it, it was wedding week and were in Georgia running errands around Hogansville and LaGrange! We prepared Georgia welcome bags for our hotel guests. The day before the wedding we practiced at the rehearsal ceremony and held the rehearsal dinner at the Grand Hotel. We gave our wedding party their gifts and spent time with our closest friends and family. The morning of the wedding, my ladies and I sat down to a sweet and casual Bridesmaid Tea at the Grand Hotel. Afterwards, it was time to get dressed to get married! My attire was all in the details. The guys looked smashing and the girls were so glamorous! Sean and I decided on doing a “first look” and we’re so glad we did! The photos turned out amazing! Then, it was time to become Mr. and Mrs.! The wedding party lined up when the ceremony music started. I walked down to my future husband and we said those two precious little words, “I do.” We were married! We snuck off for more pictures while the rest of our guests enjoyed cocktail hour with fun music. After pictures us and our wedding party were introduced and Sean and I had our first dance. Dinner was served on the porch of Victoria Belle and I still can’t get over our fabulous feather centerpieces along with the rest of the reception décor! After dinner it was time to get the party started! The sorority girls kept traditions alive. We cut the wedding cake and surprise groom’s cake then tossed the bouquet/garter. In the blink of an eye our day turned into night and soon it was time to bid farewell to our fairytale wedding. But, it wasn’t over just yet. We surprised our hotel guests at the after-party we set up and celebrated a little longer before jetsetting to paradise! The day wouldn’t have been as perfect without our amazing family, friends, and fabulous vendors (one who got the best parts on video!) And that is how a southern and glamorous wedding is done!